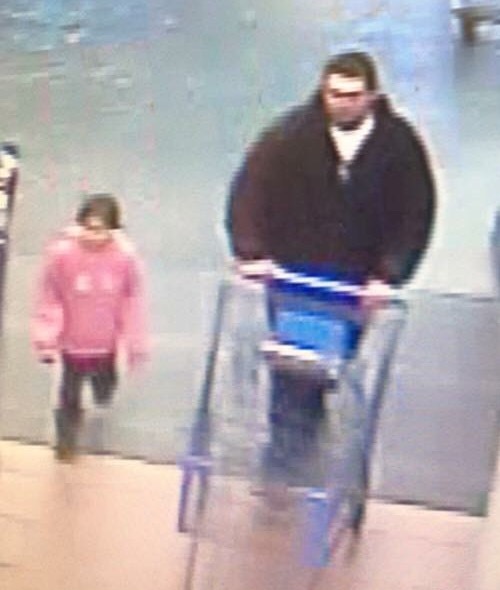 Vian police are searching for a person of interest in connection with theft of items from within a car on Jan. 20. Vian Police Chief Levi Risley said the person, whose photo (above) was taken from a Vian store’s surveillance camera, is believed to have taken a bank bag belonging to the Town of Vian from a Vian employee’s car while parked at the store. “We are only looking for an identification on this person,” Risley said Thursday. He added there was no large amount of money in the bag, just receipts, etc. 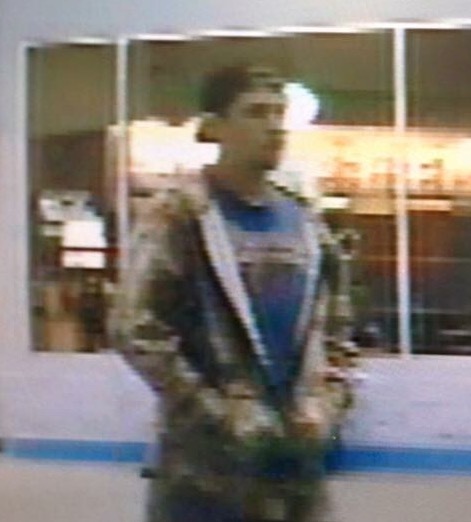 Anyone with information is asked to contact the Vian Police Department at 918-773-5724. Registration is now open for Cherokee Nation Foundation’s free ACT prep classes for high school juniors and seniors, who are Cherokee Nation citizens. The classes will be held in Sallisaw and in Tahlequah. The classes begin the last week of February and conclude with the National ACT exam on April 9. Curriculum includes interactive instruction by a Princeton Review instructor and two practice tests. The six-week course is offered at Indian Capital Technology Center in Tahlequah and Carl Albert State College in Sallisaw. In previous years, students have increased their scores by an average of 3.5 points, and some individual scores have increased by as much as 10 points. Students interested in the course can pick up registration forms from their high school guidance counselors or call the foundation at 918-207-0950. Applications are also available online at www.cherokeenationfoundation.org. The deadline to enroll is Feb. 15.
development initiative is set for Feb. 4. Free to interested participants, the Crossing Borders Region Civic Forum will be from 10 a.m. to 2 p.m. Feb. 4 at the Indian Capital Tech Center in Stilwell. Lunch will be provided. Participants are asked to register online at http://bit.ly/1Qn9WPm or by calling Robin Stand at 918-453-5701. The forum will serve as residents’ primary opportunity to contribute to the planning process after the region was recently selected for the national economic development program, “Stronger Economies Together,” or SET. The Crossing Borders region includes Cherokee, Adair, Sequoyah and Delaware counties. “Business, civic and community leaders as well as members of the general public will find the forum enlightening as they contribute to the formation of a vision for regional economic improvement,” said Jim Wilson, chairman of the Northeast Oklahoma Regional Alliance. SET is a national partnership between the U.S. Department of Agriculture Rural Development and the Cooperative Extension Service launched in 2010. The program helps rural communities work together to boost regional economic development opportunities. “We know that an increasing value of community ideas and assets corresponds to improvement of local economies, personal income and quality of life. By expanding our vision to include multiple communities and counties, we increase the available assets, the human capital and the energy of ideas necessary to generate prosperity,” Wilson said. During the forum, participants will be divided into small groups to discuss the region’s strengths, challenges and opportunities as well as review relevant economic and demographic data. Feedback from each small group will be recorded, summarized and used to build a strategic plan, which will be developed over the course of the SET program’s planning process. As part of SET, the region will participate in several coaching sessions, including the civic forum. Crossing Borders also will have access to technical assistance from the SET coaching team made up of professionals from state and federal agencies, OSU and the Oklahoma Cooperative Extension Service. Other public and private organizations also providing expertise include Oklahoma Small Business Development Centers, CareerTech, Oklahoma Department of Commerce and the Oklahoma Native American Technology Council. For more information about the civic forum or SET, contact Dave Shideler, Oklahoma State University Cooperative Extension community development specialist and an associate professor in the department of agricultural economics, at 405-744-6170 or dave.shideler@okstate.edu. Dwight Spencer, left, accepts the Sallisaw Chamber of Commerce Award for the Chamber Member of the Month for January. Chamber President Shannon Vann, right, presents the award. Vann pointed out how important the Spencer family is to the community. Buddy Spencer volunteers his time for education and Carl Albert State College and Dwight Spencer volunteers for the city and the chamber, and is already at work on the chamber’s next Diamond Daze celebration. The Spencer’s Blue Ribbon Auto Group has four local stores, carries seven brands of vehicles and has 57 employees, Vann said. Vann also introduced Frank Sullivan III who reported on the Sallisaw Youth League and the Sallisaw Sports Complex on Sallisaw’s east side. Sullivan announced the Sallisaw Youth League has become affiliated with the United States Specialty Sports Association (USSSA), the largest league of its kind in the country, which will help with tournaments and their promotion. “They will give us as many sanctioned tournaments as we want,” Sullivan said. The youth league is considering the construction of two buildings at the sports complex. The buildings will be for storage and rest areas for umpires. Construction should begin within the next few weeks, he said. Sullivan said the eight ballfields at the complex – four for baseball and four for softball – can be used for both sports, and will have the best surface available. Shade structures are also going up and plans are for netting to protect the audience from foul balls. Sullivan said estimates are that over 21,000 ball players' family members will visit the sports complex during games, and he urged entrepreneurs to build restaurants or commercial businesses on the east side of town. The youth league is still offering sponsorships, and a ball field can be named as the sponsor wishes for a $25,000 donation for six years. Many other sponsorships are also available for lesser amounts, he added. City Manager Clayton Lucas announced that the sports complex was supposed to be done last August, but the contractor is still making adjustments and corrections, which results in the contract amount decreasing every day. Lucas said sod is still being laid, and some concrete is having to be replaced after the original cracked. Work is still being done on the sprinkler system he said. He said it is expected the work should be complete in two to three weeks. -Sequoyah Memorial Hospital is holding calcium scoring screening every Wednesday in February at a cost of $99. The test determines if there is calcified plaque in the arteries of the heart. To set up a screening all 918-774-1119. 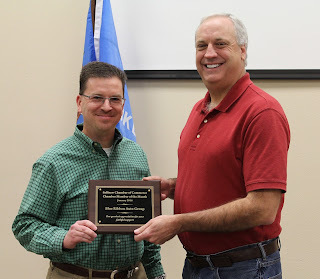 -The Chamber’s annual Recognition Banquet will be held Feb. 13 at Sallisaw Middle School. Miss Alex Eppler, the 2014 Miss Oklahoma, will be the guest speaker. For information or tickets contact the chamber at 918-775-2558. -The Sallisaw Chamber of Commerce basketball team will play the Harlem Ambassadors at 6 p.m. April 4 at the Sallisaw High School gym. Admission is $5 and children 5 and under may attend free. For more information call the chamber at 918-775-2558. Registered voters in Sequoyah County who want to vote by mail absentee ballot in the Feb. 9 annual School Elections have until 5 p.m. Feb. 3 to request one, Sequoyah County Election Board Secretary Cindy Osborn said. “If absentee voters miss that deadline, they aren’t out of luck, however,” Osborn said. Voters who want to cast absentee ballots still can do so in person at the county election board office on Feb. 4 or 5. A two-member, bipartisan Absentee Voting Board will be on duty each day from 8 a.m. to 6 p.m. on that Thursday and Friday to assist absentee voters. Osborn said the Absentee Voting Board verifies a voter’s registration information. Then, the board issues all the appropriate ballots to the voter. The voter marks the ballots in a voting booth and then casts them in the voting device. “It is very much like voting at a precinct polling place,” said Osborn. For more information, contact the Sequoyah County Election Board at 110 E. Creek Ave. in Sallisaw, Okla. 74955. The phone number is (918) 775-2614. Those who have requested absentee ballots can track the status of their ballot at http://www.ok.gov/elections/Voter_Info/Online_Voter_Tool/ . The preliminary hearing for a Muldrow woman, accused of leaving the scene of an ATV crash that left a teenager with a severe brain injury, has been continued again. The new preliminary hearing date is at 9 a.m. April 19. According to court records, this is the fifth time the hearing has been continued. Angela Gray, 30, is charged with conspiracy, child endangerment by driving under the influence, and selling or furnishing alcoholic beverages to a minor, all felonies. 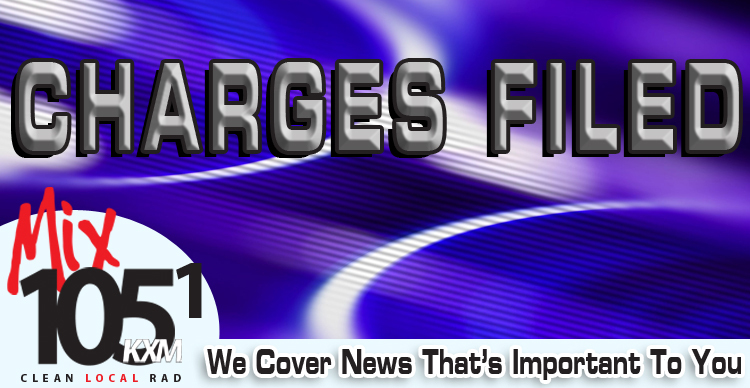 A preliminary hearing on the charges was slated for Tuesday. The charges were filed Aug. 31 by the Sequoyah County District Attorney’s office in Sequoyah County District Court, Sallisaw, after a mistrial on previous charges. In a jury trial in July, in which Gray faced a charge of failure to stop at an accident resulting in non-fatal injury, the jury deadlocked on that charge and a mistrial was declared. Jurors told District Judge Jeff Payton that, based on the testimony, they could not decide who was driving the ATV at the time of the crash. Gray testified Mayberry was driving, and Mayberry testified Gray was driving. Sallisaw firefighters were on the scene at a wildfire on Taylor Drive until around 9:30 p.m. Monday, and one home owner is lucky to have escaped relatively uninjured, Sallisaw Fire Chief Anthony Armstrong said Tuesday morning. The fire destroyed 112 round hay bales, burned through one telephone pole, and endangered several homes on Taylor Drive, but there were no serious injuries and no homes were lost. Armstrong said the fire began when a resident, Ned Erwin, was driving his truck through his field. Armstrong said when Erwin attempted to switch his truck to four-wheel drive, something malfunctioned and caught the truck on fire. Armstrong said the truck caught fire quickly, and Erwin had to throw himself out of the truck, and roll to a nearby mud puddle to avoid the flames. Armstrong said Erwin did have burns on his face and arms but refused treatment at the scene. 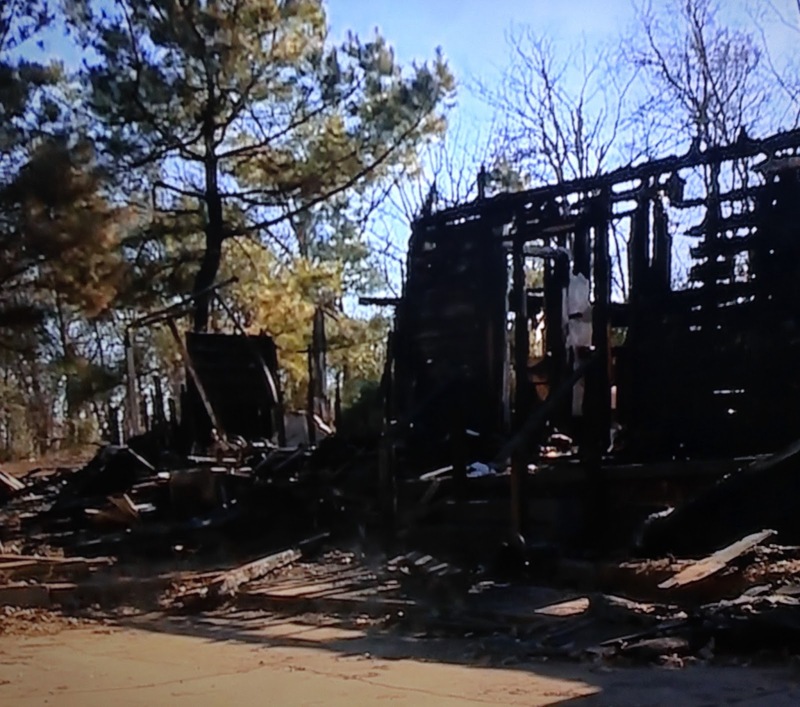 “The fire actually burned past the house,” Armstrong said. He called in a dozer from the State Forestry office and a backhoe from the city to tear apart the hay bales and contain the fire. But flying embers from the hay bales also caused concern, and firemen, wearing air packs because of the heavy smoke, were stationed at houses along Taylor Drive with pumpers to ensure none caught fire. One woman was evacuated from her home and firemen went in later to retrieve and save her dogs from the smoke. While firemen fought the blaze, Taylor Drive was closed to traffic for about four hours. Armstrong said the road had to be closed because water lines had to be laid along the road from the nearest hydrant, and vehicles driving over the lines would have destroyed them, interrupting the water flow. At one point, a light pole caught fire, fell across the road and had to be removed, Armstrong said. 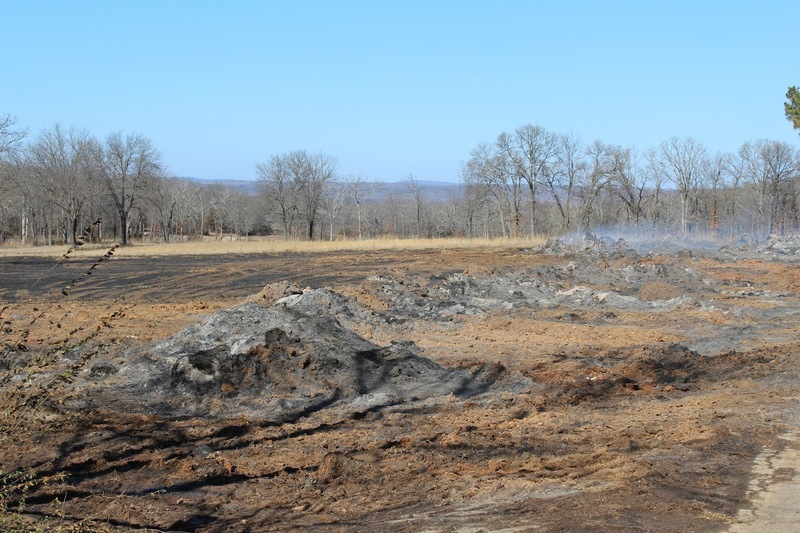 He said 18 Sallisaw firefighters helped contain the fire. Armstrong said he checked on the site Tuesday morning, and the hay bales are still smoldering (above) but not ablaze. 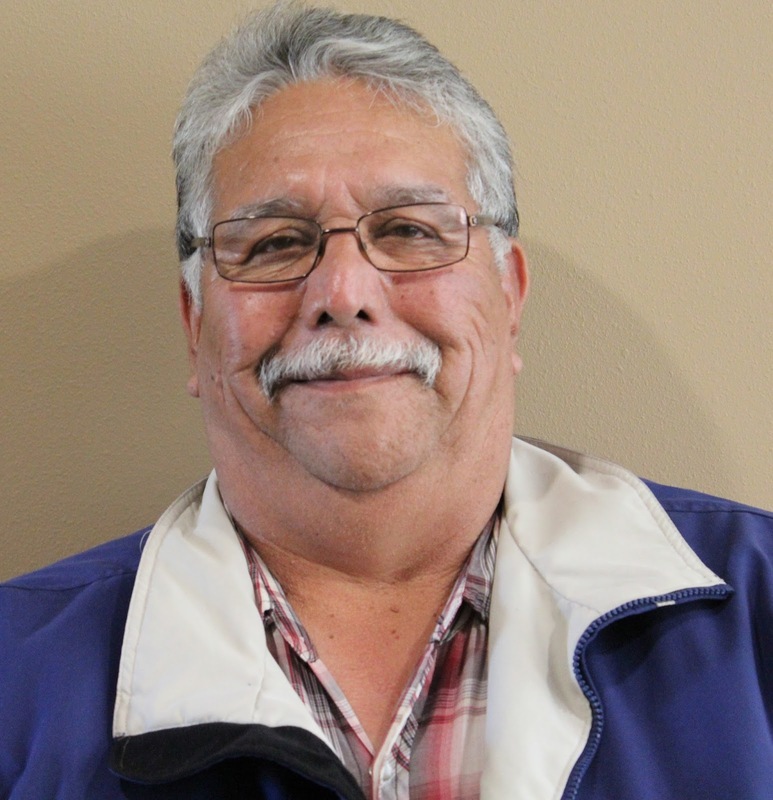 Roy Coleman, 60, announced he is running as a Democrat for Sequoyah County Sheriff. Coleman, who has extensive experience and training in law enforcement, said he has received numerous comments about drugs and break-in problems in the county which prompted his intention to seek the office. Coleman has 28 years in law enforcement, all in Sequoyah County. “This experience includes eight years as undersheriff to Sheriff Johnny Philpot and police chief at Roland,” Coleman said. Coleman said he began his law enforcement career in the Civil Defense program, then became a reserve deputy then a part-time Muldrow officer. In 1985 he became a deputy for Sheriff Sam Lockhart, and he received his CLEET certification in 1987. He continued training through the years and has numerous certificates in auto thefts, drug investigations, homicides, etc. Coleman continued his career as Roland police chief for two and a half years after Sam Lockhart retired, then worked as a Muldrow police officer. Coleman left there to handle security for Cherokee Nation Security at the tribe’s bingo establishments and convenience stores until 1997. He then went back to work as a deputy for Sheriff Johnny Philpot and worked as a deputy before taking his current job as road foremen for District 3. Coleman said that, if elected, he will have an open door policy, and will help everyone he can, and, if he can’t, he will point them in the right direction. The Sallisaw Lions Club, answering a call for help from Catholic Charities in Sallisaw, delivered 130 coats to MaryLynn Lufkin, in front, Catholic Charities coordinator, on Monday morning. Club members are, from the left, Gary Schaefer, Paul Marshall, Justin McGrew, Matt Bennett, Mary Abell, Bryan Warner and Jennifer Hancock. Lufkin said a cold snap earlier in January resulted in an increased need for coats for all ages. When all the coats were gone from Catholic Charities closets, Lufkin sent out the call for help and the Lions Club responded. Marley Abell, Lions Club member, said the club purchased about $1,500 worth of coats locally and donated them to organization for the needy. Lufkin said Catholic Charities also needs blankets. When the cold snap hit, Catholic Charities gave away 40 blankets in one day. Lufkin said the agency is always in need of men’s clothing, especially shoes, and items for its burn-out room where those who have lost their homes to fire may pick up needed items, such as silverware. And save those plastic shopping bags for Catholic Charities. The agency is always in need of plastic bags for the distribution of food, clothing and other items. For information about helping Catholic Charities call 918-775-6111. Catholic Charities is at 409 N. Adams in Sallisaw. 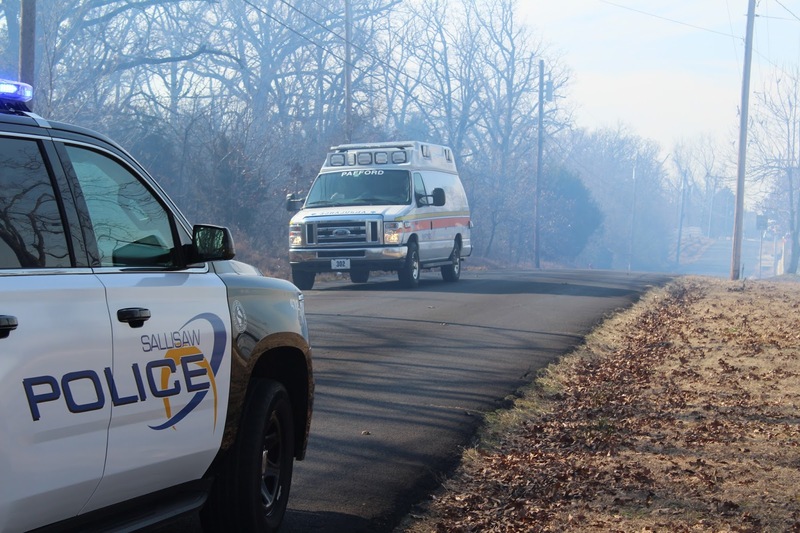 Taylor Drive in Sallisaw, between U.S. Highway 59 and County Highway 17, is closed as Sallisaw firemen fight a grass fire Monday afternoon that was too close to homes on Taylor Drive. An ambulance, above, was on the scene in case of emergency. No injuries were reported as of 2 p.m.
Police said a truck became stuck in a grass field on the north side of Taylor Drive, caught the grass on fire which then caught hay bales on fire. The State Forestry Department was called in with dozers to try to move the hay bales away from the homes and fire. It was reported over 100 hay bales would have to be moved. At about 2:15 p.m. emergency personnel were sent into one of the homes to rescue dogs. Heavy smoke was whipped by gusty winds over the area as the firemen fought to extinguish the blaze and protect the homes. Some of the firemen were issued air bottles in order to fight the blaze. At approximately 6 a.m. Sunday morning the Sequoyah County Sheriff's Dept. 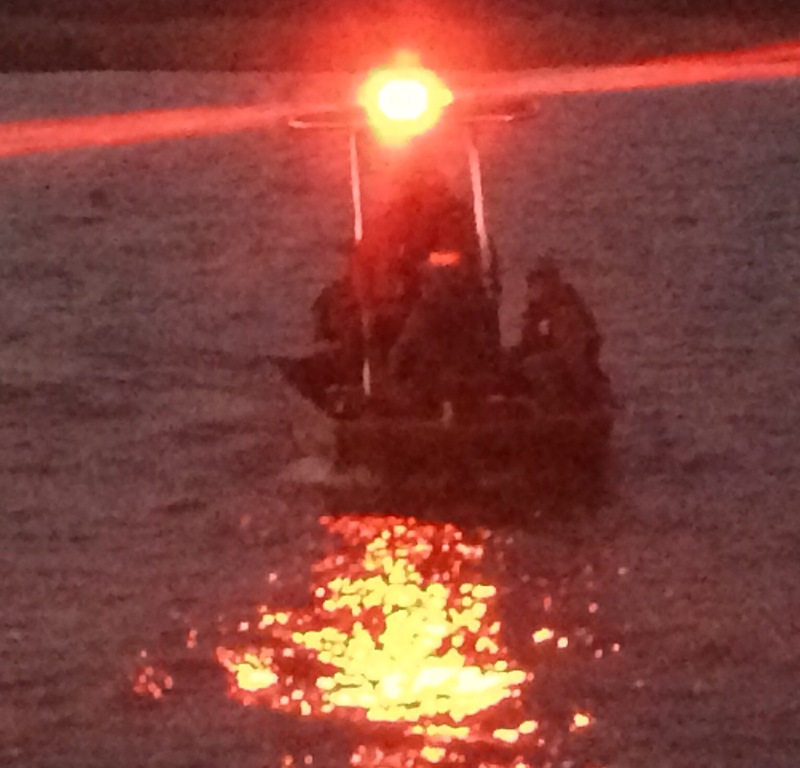 along with their swift water rescue team was dispatched to the Arkansas River near Vian in reference to a call from duck hunters needing assistance. 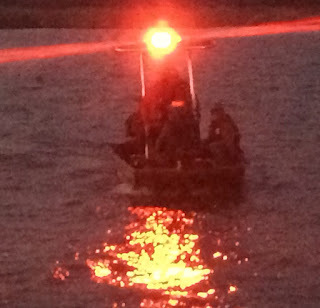 The boat was located near the Moody Boat Ramp in the Sequoyah National Wildlife Refuge. 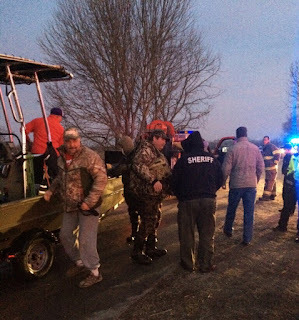 The duck hunters were found standing on top of their boat. Rescue crews retrieved the men and brought them to shore where EMS treated them for cold weather exposure. According to Sequoyah County Sheriff Ron Lockhart the men were in good condition. The hunters were identified as father and son, Matthew Reith from Fayetteville and Jerome Reith from Fort Smith. They reported that their boat had filled with water and sank. Sheriff Lockhart stated his appreciation for the Vian Fire Dept. and the McKey Fire Dept. "They did an outstanding job," concluded Lockhart. Roland Court Clerk Maudeen Vann accepts a speeding ticket payment from Aprentice Marable of Oklahoma City. A bench warrant will not be issued for Marable since he paid his ticket. Those who do have bench warrants issued for non-payment may take advantage of the town’s amnesty program in February, when 50 percent payments will be accepted. 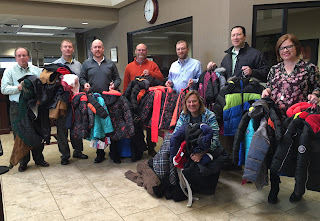 Roland town officials have a heart this February. They are offering amnesty to all those who have outstanding bench warrants for traffic and minor drug violations. Town Administrator Monte Lenington said the warrant amnesty will run from Feb. 1 through 29. The town has 3,200 outstanding misdemeanor warrants. Lenington warned that not showing up for court or not paying a traffic or misdemeanor fine or not making arrangements for payment results in the bench warrant being issued for the offender. That could lead to the loss of a driver’s license and even more traffic tickets, fines and costs. “That suspended license can cause more problems,” Lenington pointed out. If the fine is turned over to a collection agency, more costs are added on. The collection agency has a 35 percent recovery fee, which is added to the cost of the ticket. During the February amnesty program, the collection agency has agreed to reduce its percentage, Lenington said. He explained that an average speeding ticket, with collection fee, is about $473. During the warrant amnesty program the offender will owe $237. To qualify for the amnesty the offender must pay the 50 percent in full with cash, a money order, a cashier’s check or a credit/debit card. No payment arrangements will be allowed. Payments may be made to Vann between 8 a.m. and 5 p.m. Monday through Friday at the court clerk’s office. Lenington said now is the time to take care of those unpaid traffic tickets. For more information on Roland’s amnesty program contact Vann at 918-427-6829, ext. 1. 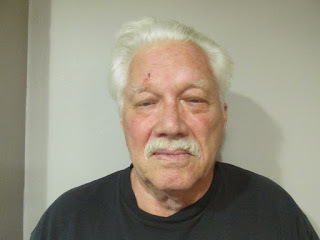 On Jan. 14 Elton Darrell Vanzant, 75, of Cookson changed his plea to guilty to first-degree manslaughter, leaving the scene of a fatality accident and leaving the scene of an accident involving an injury. He was sentenced the same day to 10 years imprisonment, with all but the first six years suspended, on the manslaughter charge. He received the same sentence on the second count, and was sentenced to two years suspended on the third count. Vanzant was charged Oct. 16, 2014, in Sequoyah County District Court in Sallisaw following a hit-and-run in Vian on Oct. 7 2014. In that incident, Vanzant was accused of driving over two women then leaving the scene. One of the women, Linda Finney-Drew, 55, died at the scene. The other, Candy Shade, was treated for her injuries at Sequoyah Memorial Hospital in Sallisaw. Finney-Drew’s family is also suing Vanzant in civil court for wrongful death. According to the Vian police officer's report, he was dispatched to the hit-and-run scene on East Sanders Street in Vian at 7:31 p.m. on Oct. 7, 2014, where he found Shade along with Finney-Drew, who was unresponsive. Shade informed the officer that she and Finney- Drew were walking east and had just entered the intersection of Martin Luther King Boulevard when they were struck by a car. Three witnesses reported seeing the car hit the women or seeing the same car nearly run another car off the road. Bystanders told the officer that the same car was seen leaving a bar known as the Rusty Barn. Witnesses at the bar said the most recent person to leave was Vanzant. The officer sent out a be-on-the-lookout (BOLO) for Vanzant's gold-colored Mercury. The officer returned to the scene where he was informed that resuscitation of Finney-Drew was unsuccessful and she was pronounced dead at 7:56 p.m. 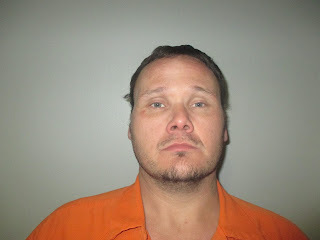 The officer, with the help of the Sequoyah County Sheriff's Department, coordinated with the Cherokee County Sheriff's office to take custody of Vanzant. He was arrested at 12:05 a.m., Oct. 8, 2014, and his Mercury was impounded. The officer then took photos and evidence from Vanzant's car, including a piece of material that resembled the clothing worn by Finney-Drew. In the report, Vanzant is described at the time of his arrest as having bloodshot eyes, having a strong odor of alcohol about his person, and being unstable on his feet. He told the officer he had been drinking. Alex Eppler, the 2014 Miss Oklahoma, will be the guest speaker at the Sallisaw Chamber of Commerce Annual Banquet on Feb. 13. The banquet will be held at the Sallisaw Middle School. Live music, provided by Rhoda Wilson, and appetizers kick off the evening from 6 to 6:30 p.m., followed by the prime rib dinner. The theme of this year’s banquet is Generations Working Together in Harmony, The Building Blocks of Success. Banquet tickets are $35 per person or $325 for a corporate table for eight. The deadline to make reservations is Feb. 3. Eppler is a graduate of The University of Oklahoma with a degree in Medical Science and a minor in Health and Exercise Science. She graduated in 2012 with honors and was named her college's Outstanding Senior. Eppler taught high school science courses: physics, biology, chemistry, physical science and earth science at The Academy for two years following graduation. In 2014 Eppler won the title of Miss Oklahoma and went on to place in the top 10 at Miss America. She also won a preliminary swimsuit award and was a Quality of Life finalist for her platform Dare 2 Care: Random Acts of Kindness. During her year as Miss Oklahoma, Eppler traveled over 40,000 miles and spoke to over 100,000 students across the state. She was awarded over $50,000.00 in scholastic scholarships and is now putting that to use at The University of Oklahoma Health Science Center where she is a first year physician associate student. For more information call the chamber at 918-775-2558. A 37-year-old Muldrow man is behind bars in the Sequoyah County Detention Center in Sallisaw after a high-speed car chase from Fort Smith to Sallisaw late Wednesday. Sequoyah County Sheriff Ron Lockhart said John Crossno was arrested by the Oklahoma Highway Patrol after the suspect ran the car he was driving off U.S. Highway 64 east of Sallisaw. Lockhart said the car was stolen on Monday. The chase began in Fort Smith, Lockhart said, and speeds reached 85 miles per hour as it continued. He added that alcohol may have been involved. 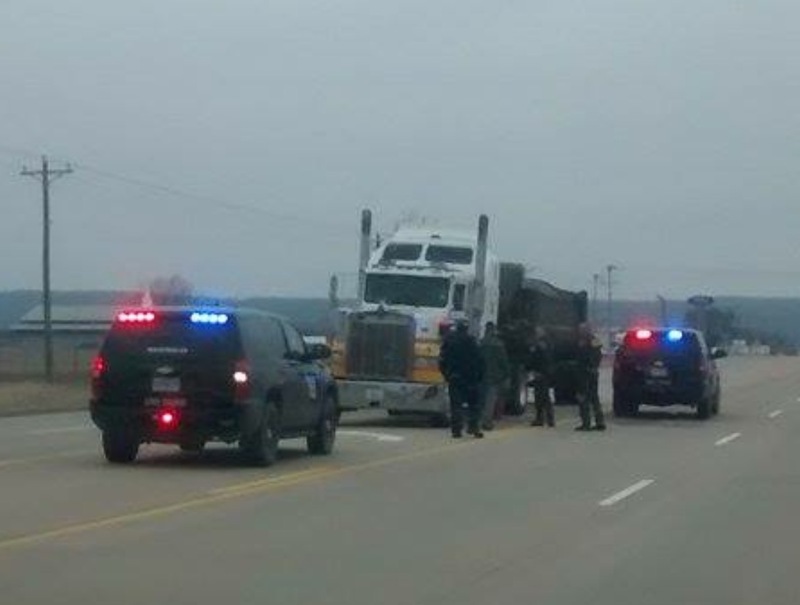 The Sallisaw Fire Department was called to a small diesel fuel spill Wednesday afternoon when a semi-truck hauling coal had a problem with its wheels. 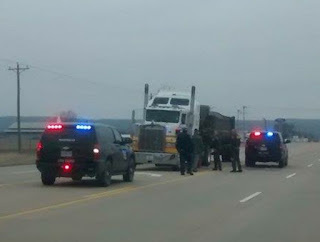 Sallisaw Fire Chief Anthony Armstrong reported the semi-truck, owned by CC Kelly Trucking of Hodgen, was traveling north on U.S. Highway 59 and lost a set of wheels, which hit and damaged the truck’s fuel tank and caused the spill. The truck was on the city’s south side, Armstrong said. Armstrong said the fire department uses a special substance called fuel dry to mop up the spill, which was about 10 gallons. “We just sweep it up and the fuel dry takes out all the toxins,” Armstrong said. The fire department was on the scene for about an hour cleaning up the spill. Armstrong said the Oklahoma Highway Patrol was on the scene and investigating the incident. At 4:30 p.m. Wednesday evening the Sequoyah County Sheriff's Dept. was called to The Outer Zone, a business on Highway 64 west of Moffett, in response to an armed robbery report. At approximately 4:25 p.m. a male suspect entered the business wearing dark clothing and a bandanna covering his face. The suspect, armed with a firearm, demanded an undisclosed amount of cash. 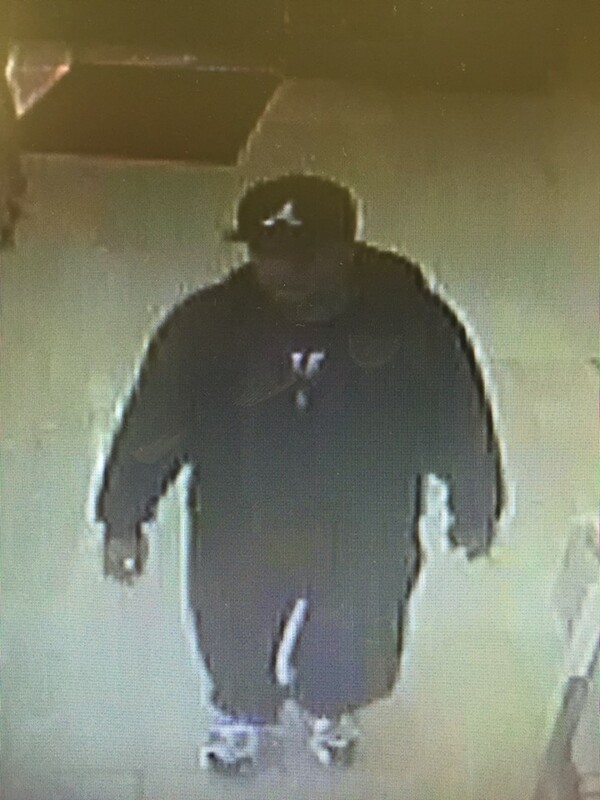 The suspect was described as a 6'0", 200 lb male, race unknown. Investigators with the Sequoyah County Sheriff's Dept. are on the scene and looking for the suspect. Video surveillance captured a vehicle that might be involved in the robbery (older model blue vehicle closest in front of picture, above). Sequoyah County Sheriff Ron Lockhart is asking anyone with information or anyone who was in the area around 4:25 p.m. today and who may have observed anything suspicious to contact his office at 918-775-9156. Please share this story and help authorities find suspect. Sallisaw police are searching for two men who stole, or attempted to steal, merchandise from the Sallisaw Walmart store in two separate incidents. Lt. John Owens reported the first incident occurred on Jan. 8 when a Hispanic male of large stature (above, top) entered the store with a small female child, age 4 or 5, then loaded computer equipment and a microwave into a cart and attempted to leave the store through the garden center without paying. Walmart employees tried to stop him and Owens said the suspect then shoved the cart at the employees, grabbed the child, and fled in a white or cream-colored Chrysler 300. The merchandise was recovered. In the second incident a white male (above, bottom) entered the store at 3:30 a.m. on Jan. 16. The man broke the glass in the jewelry case and escaped with between $600 and $1,000 worth of jewelry. The suspect was in the store for about three minutes. 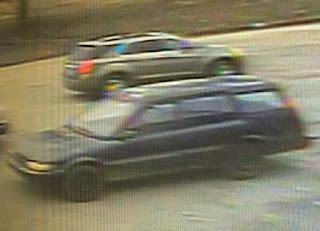 Owens said the suspect then ran from the store and jumped into a rust-colored, older sedan waiting outside with a driver. The suspect was wearing a blue shirt, camouflage jacket, and dark hat worn backwards. Both suspects, captured on film on the store’s surveillance cameras, face felony shoplifting charges since the merchandise they stole or attempted to steal was worth over $500. Anyone with information is asked to contact Owens at 918-775-4177. Voters in Sequoyah County who want to have absentee ballots mailed to them for the Feb. 9 School Election should apply now, Sequoyah County Election Board Secretary Cindy Osborn said. Although the county election board can accept applications for absentee ballots until 5 p.m. on Feb. 3, Osborn urged voters who want to vote by absentee ballot to apply early. Absentee ballot application forms are available at the county election board office at 110 E. Creek in Sallisaw. The absentee ballot application forms also can be downloaded and printed at www.elections.ok.gov. Voters who have requested an absentee ballot can track their ballot at http://www.ok.gov/ elections /Voter_Info/Online_Voter_Tool/. Osborn said any registered voter may vote by absentee ballot in any election in which he or she is eligible to vote. However, a voter must be registered and reside at an address within the geographical boundaries of a school district or a municipality to be eligible to vote in school district or municipal elections. It is not necessary to give a reason-or excuse-for voting absentee. “While anyone can vote absentee without giving reason, the law still provides several excuses, and it is to the advantage of some voters to use one of them,” Osborn said. Voters who are physically incapacitated and voters who care for physically incapacitated persons who cannot be left unattended may vote absentee. They may apply only by mail, by fax, or by email. Voters who are confined to nursing homes in the county may vote absentee. An Absentee Voting Board actually goes to the nursing home a few days before the election, sets up a small polling place and allows these persons to vote under circumstances similar to those at a regular precinct polling place. They may apply only by mail, by fax, or by email. 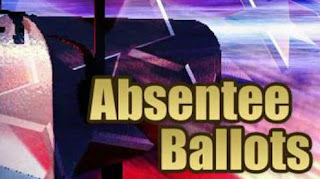 Military personnel and residents of the county living overseas and their spouses and dependents are eligible receive absentee ballots. These voters may apply only by mail, fax, or by email. Military personnel should contact Voting Service Officers in their units for application forms and additional information or visit the Federal Voting Assistance Program website (www.fvap.gov.oklahoma) for more information and instructions. Residents of Oklahoma living overseas can obtain the same materials from any U.S. military installation and from U.S. Embassies and Consulates as well as on the FVAP website. 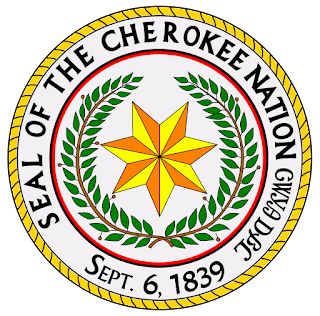 The Cherokee Nation will begin dispersing its limited supply of heirloom seeds on Feb.1 to tribal citizens interested in growing traditional Cherokee crops and plants. 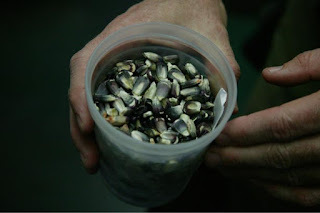 The Cherokee Nation keeps an inventory of seeds from rare breeds of corn such as White Eagle corn seeds (above), beans, squash, gourds, Trail of Tears beads, tobacco and several plants traditionally used for Cherokee customs. The seeds are not available in stores. 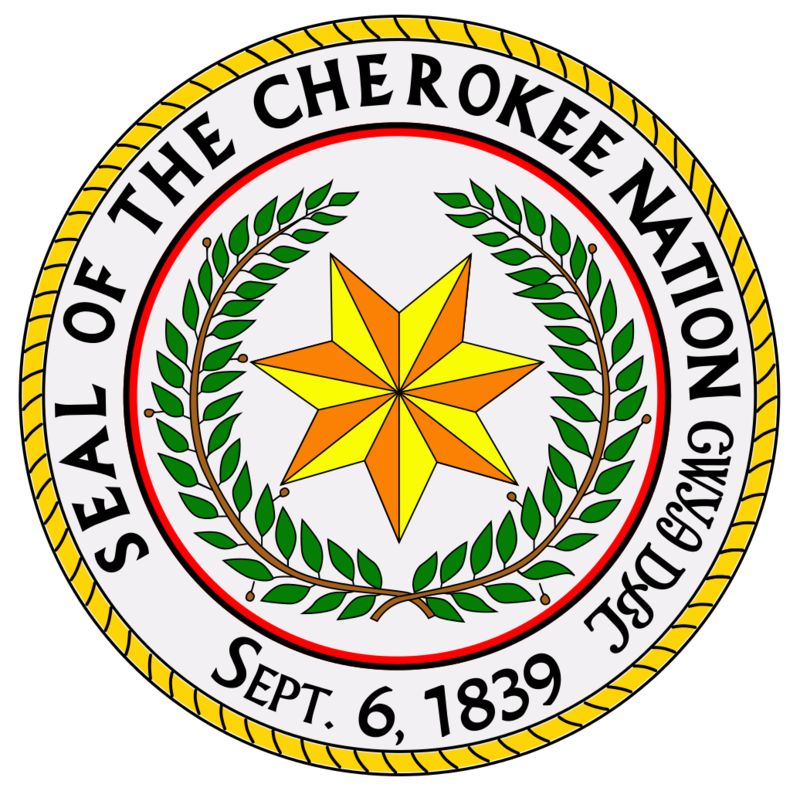 In 2015, the tribe distributed 3,463 packages of seeds to Cherokee Nation citizens. Eugene Wilmeth, a Cherokee Nation citizen of Midwest City, planted Cherokee White Eagle Corn and Native tobacco seeds. “I am very grateful for the Cherokee Nation seed bank, which gives me the opportunity to grow traditional and sacred plants that connect us to our culture and to our Creator. The program allows each of us to play an important role in the preservation of our heritage,” Wilmeth said. Citizens are limited to two varieties. To get the seeds, citizens can either make an appointment to pick them up or email their request to seedbank@cherokee.org to have them sent by mail. Individuals must include a copy of his or her Cherokee Nation tribal citizenship card, proof of age and address. For more information, contact Pat Gwin at 918-453-5704. The Town of Muldrow is now on better footing. A sidewalk project was just completed on Shawntel Smith Boulevard, the town’s main street. David Taylor, Muldrow town administrator, said the new sidewalk was needed because of the heavy foot traffic on the north side of the boulevard. Unfortunately there is little money available to build sidewalks, a circumstance other towns in the county are dealing with too. In Muldrow, members of the community stepped up to help build the sidewalks, which had a cost of $35,000. Taylor said Armstrong Bank donated $9,500 (above) which helped build the sidewalk in front of the bank. 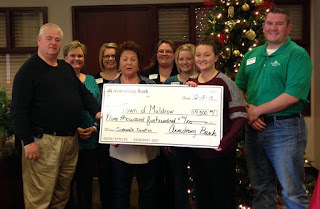 Sonic Drive In and the Muldrow Chamber of Commerce chipped in too, and the remainder - $23,000 - was paid by the town. The sidewalk runs on the north side of the street only, where the heavy foot traffic is. The project was started just before Christmas and took about 10 days to complete, Taylor said. Carl Albert State College (CASC) announced Tuesday the addition of five online courses to be offered in an eight-week format beginning March 7 and ending May 13. Because CCASC is competitive nation-wide with the cost of online classes, these classes are a great deal for students interested in completing class work in a short time this spring, said Dr. Jason Morrison, CASC Vice President for Academic Affairs. The classes being offered are each three credit hour courses and include Ethics, Information Literacy I, Introduction to Sociology, Microcomputer Applications, and American Federal Government. According to Morrison, a variety of students may find these classes helpful. Sarah Brown, CASC Virtual Campus coordinator, explained that all five of these classes are well structured for an eight-week design. Morrison explained that a student can enroll in up to nine credit hours without being a degree seeking student at CASC as long as the classes meet certain criteria. “These five classes were selected specifically so that students can apply for admission, pay for the class, and get the classes that meet their needs this spring without prerequisite or test score requirements,” Morrison said. 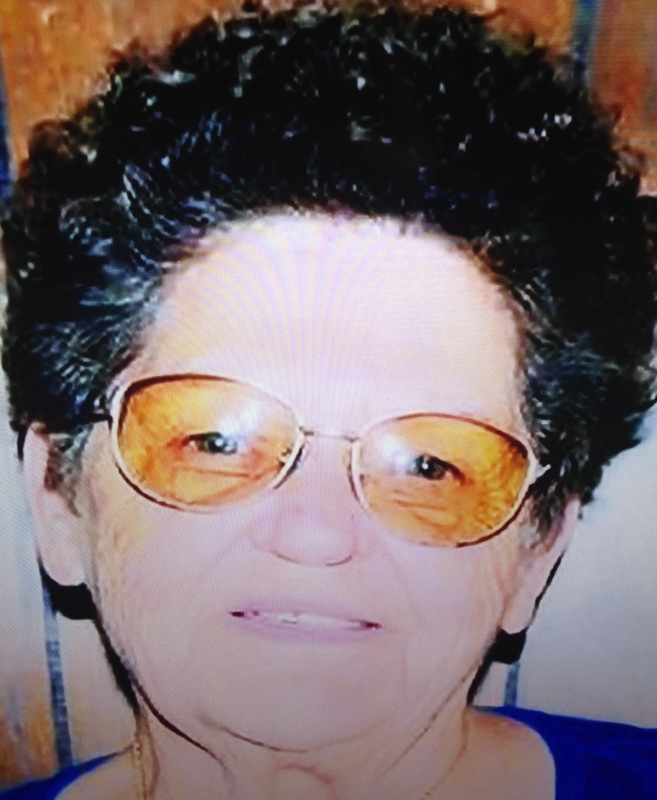 A long-time Gans resident, Betty Crow, perished in a house fire. The fire is believed to have started in Crow's bedroom in her home on 4690 Road. According to reports, Crow attempted to extinguish the fire before being overcome. A male relative living in the home attempted to save Crow by removing her from the home but was unable to do so. Crow, 79, was the mother of seven children and well known in the Gans community. Her funeral will be held Friday at 1 p.m. at Gans Bible Church. 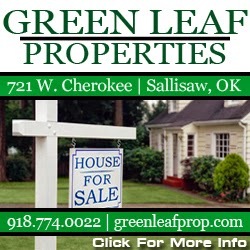 A couple from Arkansas was charged Wednesday in Sequoyah County District Court in Sallisaw with aggravated trafficking in illegal drugs, a felony, and a misdemeanor charge of unlawful possession of drug paraphernalia. The charges were filed after an Oklahoma Highway Patrol (OHP) Trooper stopped the couple on Interstate 40 on Jan. 6 and, after receiving permission to search their pickup truck, found about two pounds of methamphetamine. Kimberly Dawn McGehee, 32, of Charleston, Ark., and Darrell M. Reed, 57, of Ratcliff, Ark., are free at $30,000 bonds each. The trooper reported he stopped the couple after he saw Reed, who was driving a Ford truck, change lanes without signaling at Mile Marker 315. Reed and the passenger in the truck, McGehee, both appeared nervous, the trooper reported. 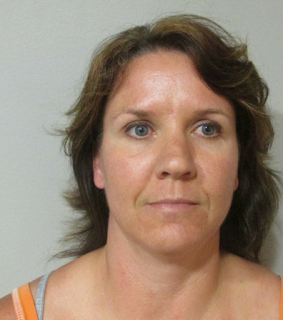 McGehee said she was buying the truck from a friend and that she was Reed’s girlfriend. She gave permission to search the truck. The trooper reported his drug dog alerted on a plastic barrel in the bed of the truck. The search uncovered nine plastic bags and a vacuum-sealed bag of a clear crystalline substance. The substance tested positive as methamphetamine and had a total weight of about two pounds. Both Reed and McGehee entered not guilty pleas to the charges on Thursday. Their next court appearance is scheduled for March 2.